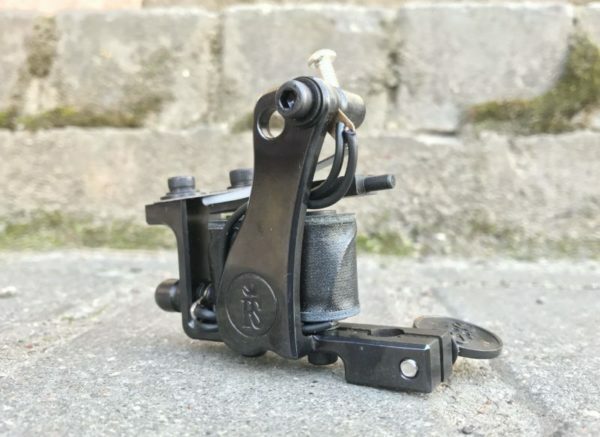 Right Stuff offers tattoo artists ordering an inexpensive professional BONE BLCK Shader Tattoo Machine. 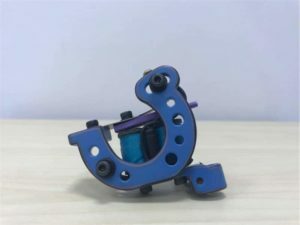 Unlike the liner machine, the shader is based on the relatively smooth penetration of a tattoo element into the epidermis. Experts claim that it contributes to providing a higher quality of the tattoo. Meanwhile, when a master works with this unit, he must know that the ink under the skin can blur. This special tattoo shader is mostly used for the purpose of injecting a pigment (special tattoo ink) into the epidermis. It is very effective when making large skin colored paintings. 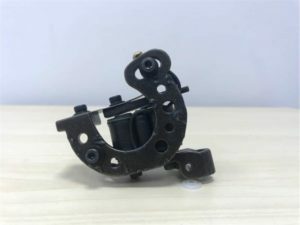 If a tattoo liner is mostly needed mainly for drawing contours of tattoos, the BONE BLCK Shader is served for painting them. The unit’s construction makes the shader a very convenient device. It has a soft spring, as well as 10 wraps 25 millimeters coils. The shader has more weight and dimensions compared to a liner (this device weights 180 grams). The item is operated at 105 Hz and its voltage is 6, 6 V.